How’d we create the vocals for Zyra’s darling dragons? Hi everyone! My name is Austin “Vonderhamz” DeVries, and I’m one of the sound designers on the Personalization (aka skins) team. My job is to create and implement sound and voice over that grounds a character in Runeterra and gives clear gameplay feedback to players so they can play at their highest potential. A lot of people are visually-driven, so sound design is a craft that is unheard of (hah) by some and seems like black magic to others. Riot’s audio team is always working to create sounds that amplify the feeling of skins and champs, but it can be tricky because our first priority is gameplay. 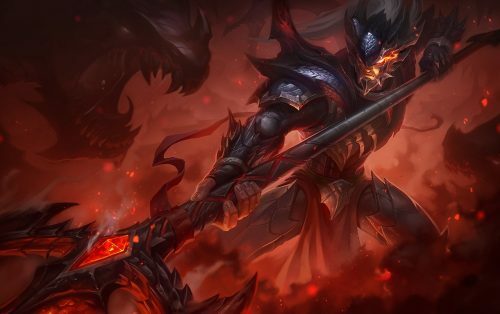 Even if something sounds really cool and fits the skin’s thematic, it doesn’t mean it’s a fit for League. For example, even if we liked lengthy, booming roars for Zyra’s dragons, it wouldn’t have fit into the audio cadence players have come to expect from the plant-lady, so we wouldn’t use it. Good sound comes from the cross section of emotion and gameplay, even if the source was a few hours screaming, clicking, and purring into a mic. Vonderhamz is a Sound Designer on League and an advocate for generous Nunu buffs.